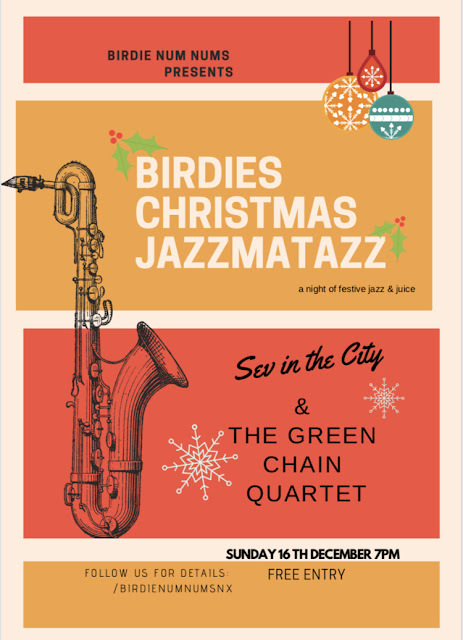 The Green Chain Quartet return to the lovely Birdie Num Nums in New Cross on the evening of Sunday 16th December. Expect... Wonderful sets from Sev and The Green Chain Quartet with Christmas swing, funky songs, joyfulness and... mmmm ... Christmas hats! 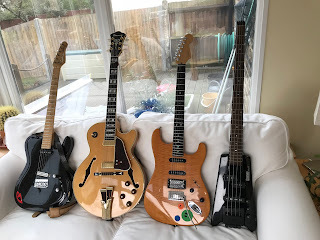 What: A great little place in New Cross, South London, just over the road from Goldsmith's College. Great food, bar, cafe, nice vibe, great jazz, everyone agrees.. get there, you'll love it.